In my experience, for a child to learn and develop in confidence and self-awareness it’s important they feel safe, both emotionally and physically. However, in the classroom a whole host of things are going on – not just the child’s relationship with the lesson in hand. Children are very aware as they are feeling everything, all of the time. They can feel what is going on outside the window in nature while they are colouring in or doing their maths. They can feel the rest of the school and what is going on in other rooms. They can feel how the teacher and the other children are feeling and what is going on at home for them and so on, all whilst getting on with something, and yet this is not recognised or honoured by the system. Instead the education system reduces the child to a prescribed way of doing things in a very linear way. They have to face the front, sit in a certain way, do things in a certain order, not talk, not look out the window – not be themselves in other words – which squashes their spherical awareness by not allowing them to acknowledge or articulate what they are feeling or how they are responding to what they are feeling. Over time this false configuration of expression becomes deeply embedded in the body, feeling so familiar it eventually becomes ‘normal’ and what is perceived to be true, but the true knowingness remains unexpressed and lies dormant and buried. It is not totally forgotten however, which creates a constant underlying tension, which of course plays out slightly differently for each of us. These insecurities have the same root cause though because the current model of education suggests that who the children are isn’t enough and that getting things wrong is bad, and therefore they have to try harder, be better etc. In learning that it is only by what they do and achieve that gets recognition, a stress is created by over absorbing ‘knowledge’ and regurgitating it. This generally causes a lifelong, un-admitted issue with making things look good at the expense of how one is really feeling. It is clear that underneath the façade of doing things ‘right’, children do not feel wholly safe to be themselves, learning instead to hold back their natural expression for fear of not being accepted for who they are. It is interesting to note that as the child becomes an adult this becomes normalised, and so the whole cycle is repeated as they send their children off to school and encourage them to value their self-worth through what they achieve, not because of who they innately are. As a consequence, and in my experience, children very quickly learn to self-bash when they don’t understand something or find something tricky, as underneath they are looking for recognition through being a ‘success’. Nowhere is it in their lexicon to even possibly articulate their value beyond what they perceive themselves to be good at. As a teacher therefore, my main aim, on which I base all my lessons, is to build relationships with my students. This comes from my relationship with myself first before I connect to my pupils as they can very much feel where I am at (as nothing can be truly hidden from them – their not expressing it doesn’t mean it isn’t a known! ), and so a genuineness, openness and honesty needs to be there from the start. I have found that the children I teach really appreciate this and if I am feeling fragile then it is perfectly ok for this to be communicated, as in this communication my students are treated as the equals they are. Often asking them for support when I need it confirms this too. Not only is all of this in itself incredibly powerful, but also to accept my students for where they are at is also deeply registered by them and supports them to feel safe. Ultimately what I am teaching is not beyond their scope, even if they appear to be struggling. I know that this struggle comes from the self-imposed blocks and inner tension they have created by falsely believing they are not good enough and so I hold them in a quality that communicates the truth. Ultimately, trust in the teacher is the cornerstone of true learning for a pupil because their bodies need to feel safe to be open to learning. For example, observing year 2 children playing with Lego recently I could feel that they didn’t mind their designs falling apart because they weren’t under any pressure to get anything right – they were relaxed, having fun, simply learning as they were playing – and the great thing was they were working out what worked and what didn’t with ease. As teachers, through developing trust we can support our kids to feel at ease, to ‘have a go’ without fear of getting things wrong because they feel valued as a person first and foremost, not judged according to outcomes or results. I am a mother of two amazing children and a part-time teacher of English. My idea of a good time is meeting new people, building relationships and in supporting others to know just how unique and amazing they are. Feeling safe at school, trusting the teacher and being able to be yourself are the foundational building blocks in being able to learn. Yes exactly, children are under a lot of pressure to perform these days and it is not uncommon for them to experience anxiety at a young age. Encouraging children to be themselves, staying true to their bodies is essential to be able to learn and re-discover and confirm what they already know. There is a meme that we are using only 5% or 10% of our brainpower that is available. It is actually less than 5% but that is because we exclusively use only one tool – the mind, when there are other tools available. ‘This generally causes a lifelong, un-admitted issue with making things look good at the expense of how one is really feeling.’ So true and the strains that this causes is one of the reasons that we have such an increase in mental health issues. For a while now I have been responding to people asking me ‘How are you?” by being more open and truthful but it is interesting to observe how often I go back into my default pattern of saying ‘I’m fine’. Not wanting to admit when I am struggling. “When we do not give children permission to express what they are feeling, they learn to dismiss the truth of what they know, second-guessing what is asked of them and ‘playing it safe.’” I can recognise I did this as a child and then continued into adult life. The more we start to second guess and play it safe the more we loose confidence in ourselves and start to question if things are right or wrong rather than what is true or not. What I love about this comment is that it suggests that, with awareness, we can re-write history and undo the patterns we have developed to cope and/or get by. Very inspirational to read, Michelle. The fact that you as teacher ask the pupils for support , and therefore treating them as equals, is an eye opener. What if management in companies would treat the people in companies as equals in the same way? Treating a child as an equal opens up a space for them to be all that they naturally are. And as you suggest Willem, this is true of the adult world too. “As a teacher therefore, my main aim, on which I base all my lessons, is to build relationships with my students.” On reading this line my body melted. I loved the classrooms and teachers where I had a connection with the teacher. Not only did I feel safe and confident with them, I learnt a lot from them, more so than other teachers where connection was lacking. It’s beautiful to watch children light up and settle in their body when they are truly met. 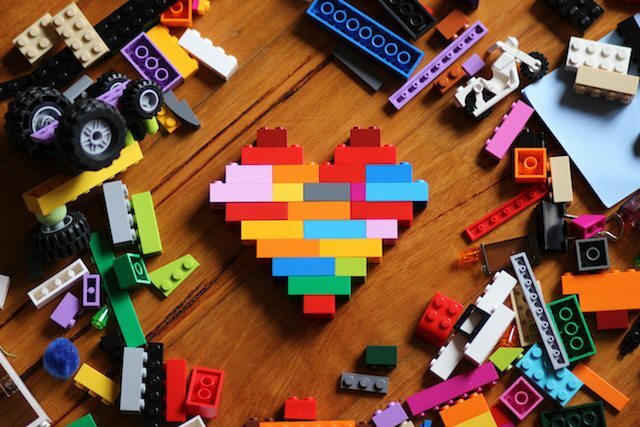 Yes, there is this notion out there that we need a reward system to be able to learn things but as you shared in the example with the kids playing with lego is that we learn much better and in a much more easy and non-traumatising way when there is not the pressure of competition and or reward. So we can learn for the intrinsic value of learning rather than some kind of external feedback or recognition. This would certainly support children to maintain a sense of worth for themselves. We need people with your understanding heading the training for all teachers. For many years every time I saw a child in school uniform I would recall how trapped I felt in the confines of the education system I went through and imagining the child I was seeing would be going through the same, I would feel sorry about the predicament they are in. If only all teachers offered the same level of love, space and reflection to the children in their care, when those children grow up we would see a completely different world. I work with very young children and when we have new children come into the centre, sometimes they can be quite unsettled and upset. What works so well is when you don’t bring any picture, expectations or needs to them, and just hold them and allow them to feel first and foremost that they can be themselves, either upset or not and that is totally fine. When they are held within this accepting space in this way, they settle so much quicker and you can then just interact with them in a way that is engaging them gently but not with any push, and then this supports them to start to participate in their own time. This is the future of education Michelle, as with so much else in life, we have to bring it back to the quality of relationships we foster as a first step. Without this, nothing else we offer another will sustain anything worth sustaining. Wow. When you read it like this, what a sad, sad state of affairs this is. Yet we know the fall-out as adults – here we are burnt out, stressed, self-medicating, unhealthy… all as a result of being ‘good’, not being who we are. We really need to start valuing ourselves and our children for our, and their, innate loveliness – urgently. Why would children begin to hold back who they truly are? It must be that they feel a force which is ever so real come at them when they are in their naturalness – otherwise why would they shut down what they naturally are if there wasn’t a reflection around them showing that is what’s happening? It makes sense that children will be able to take in what’s being taught if they feel safe, and carefree. There is nothing worse than going to a place everyday and dreading having to go, and then whilst they are wishing you were at home or somewhere else – it makes for a long day, and this goes for adults also. How very wonderful to allow your students to know that you are “feeling fragile”. This is such a life changing gift to them in a world where most adults simply pretend to be ‘okay’ when in fact they are not. And naturally flowing on from you allowing them to feel your fragility will be that the children will feel safe to be able to express how they truly feel. Now this is true education! Children they will read that it is not okay to express what they truly feel, so they will often, either express what they know the other wants to hear or say nothing at all. I loved reading your blog Michelle which I found super supportive as I have started volunteering at my local school. And now with an awareness of the importance of building a relationship with the children and seeing them as equals I will be taking a page from your book when I am with them in future. Michelle, our world needs more teachers and parents like you. I am really inspired by how you connect to your children and how you treat them as equals. Our current education system and parenting styles do not reflect this and hence why we have such disharmony in our society, because most of our relationships are not base on equality and love. The number of parents that are opting to home school their children is growing here in the UK. This is a big step to take for any parent, but it shows many are not happy with the current education system. School is a very restricting environment. It doesn’t feel it fosters creativity and collaboration, however within the confines of the system, there is so much a teacher can do to inspire students and let them know that they are so much more than their grades. I certainly have held back in life for fear of making a mistake or getting something wrong to be told off or laughed at. Making my foundation where the focus is on who I am and not what I do brings about a confidence and an acceptance which supports me to ‘have a go’ or express something I wouldn’t normally express but in doing so although I may feel a little uncomfortable I am paving the way to bring about a way of being that not only is true and honouring of who I am but step by step becomes a ‘normal’ way of being. Beautiful to read, Michelle, and very inspiring to read that there are teachers out there who are breaking the mould of the present reductionist approach to education. Michelle, this really makes sense; ‘observing year 2 children playing with Lego recently I could feel that they didn’t mind their designs falling apart because they weren’t under any pressure to get anything right – they were relaxed, having fun, simply learning as they were playing’, I have observed that in reception class at school there is no pressure on the children, they are nurtured and supported for being themselves and there is no right and wrong, simply their own expression is celebrated and supported and so the children learn and don’t feel stupid or wrong and don’t get upset when things don’t go as they expect, this seems to change in year one when it becomes about right and wrong and trying hard and the anxiety and feeling wrong and comparison seems to creep in. When we extract ‘right’ and ‘wrong’ from the classroom and open up our education to be about exploration and discovery, we build a true relationship with our inner knowing and innate confidence and hence produce very rounded, alert, confident adults. There is so much more wisdom to be expressed in children than this tick box list of educational outcomes that we have enforced upon them can possibly deliver. From what I can see the way we educate children is so off track the track is no longer visible, we need more teachers like you Michele who can truly teach but the system is such, if a true teaching approach is taken the teacher can end up in hot water for not sticking to the so called rules and guidelines. True – but there is nothing to stop a teacher for taking a moment to really connect with a student. Those small moments speak volumes and a child knows they are being supported. Relationships are really everything. In one school I worked at there was a lot of low-level disruption going on in a room of Y9s – it was constant – every lesson. The policy of the school was zero tolerance – however in focusing in on the relationships I know I made a difference despite it. One girl came in one day visibly upset. Most teachers would have ignored it, but one moment from me to her – simply looking at her and genuinely asking if she was ok meant a lot – she welled up and although she didn’t want to talk about it she knew that I cared. In that moment it meant everything. No, it didn’t stop the subsequent low-level disruption from her in later classes, but it is something that will have stayed with her. It’s pretty crazy how we currently have to live many years of our life, sometimes till we are quite old and infirm, to hear and to learn about our incredible awareness. What if the fact that ‘children feel everything’ as you say Michelle was the centre of our education from day one? How could we then have abusive teachers and truant kids? Well, if we did we’d have the tools to simply ask ‘what’s going on?’ It feels like the reason it’s not like this today is because we as adults have erected barricades, walls and great blocks (like the Lego) so we don’t have to accept what we feel. So of course we won’t advocate children opening up to truth. Because if we do it shines the light directly on us and how we are we going to be as a parent or teacher. And who knows what other feelings we might have about our earlier life. The travesty in all of this is us thinking that numbing ourselves takes the pain and difficulty away. What I myself recently am experiencing more and more is that I can be at ease with myself, that my body is relaxed and with an inner knowing that I am completely okay. This has been different for a great part of my adult life in which there always was a feeling of not knowing and a dependency of others. I can also see now that this has started in school where I was told to be silent, to keep my attention to the teacher and so on, that is so clearly described in this blog. It makes it clear to me of how we lose that natural connection we have with everything and create that feeling of unease we can walk with for great parts of our lives. There is really no need to over mark children on right and wrong, I find it hard to understand the way of thinking that considers testing children so rigorously and openly at such young ages is doing anything to develop them, but more to squash and narrow their intelligence. It only seems to be used to rank schools which have become more like businesses. And to look at the outcomes, are we working in systems where the children are developing into responsible and content adults, and are the teachers supported to assist in this development. If the answer is no then I guess the question is why are we so bound to a system that doesn’t really serve. It is only if we question and don’t accept our current model, that the platform to offer children the space to be creative and intelligent will come to exist, currently it does not. My son is in grade 2 and is having an enormous difficulty fitting into the school system. He is very critical on himself, as he has struggled to pick up reading and writing with ease. He is so sensitive to everything that is going on, inside and outside the class room, most of the time he reacts to the fast pace of the classroom and he finds the noise very tricky to cope with. Due to his outbursts and reactions to the intense setting, he is suspended from school nearly every week for behavioural issues. I do wish we had a teacher like you, the students and parents alike should feel blessed to have a teacher that cares so deeply and wholly for the children’s health and welling being. Education as we currently do it crushes everyone in it, both children and the teachers and of course parents too. We have a system that feeds a lifestyle that is all about looking good and ticking boxes and that puts the person at the bottom to be dismissed or to be driven to achieve an outcome. It doesn’t work, even for those who appear to ‘thrive’ in it, they become good outcome achievers without the heart of them, and our societies reflect this. When we provide spaces as Michelle notes here for others to know and feel themselves and to have themselves engage with learning taking that into account it changes things and we get a very different experience of life and learning … one that is whole bodied or whole personed if you will. Imagine a world operating in this way. This is a wonderful blog Michelle. How true is your statement that so much harm is done by the over-absorbing and regurgitating of knowledge. I have observed this with students who have had trouble with memory retention and get ill with nausea and vomiting over it. No physical ’cause’ is usually found by medical science but it is very clear that when they have trouble taking in the information they can’t ‘accept’ it and with the anxiousness and sense of indigestion makes them vomit. ‘As teachers, through developing trust we can support our kids to feel at ease, to ‘have a go’ without fear of getting things wrong because they feel valued as a person first and foremost, not judged according to outcomes or results.’ I love this line and it made me a bit tearful as I remember how much I needed to get things right or being too scared to get things wrong and this gives me a clearer understanding of why I felt the way I did. Gosh this is so needed. I was on a teleconference yesterday, and we were brain storming ideas and I could feel the enormous pressure to ‘get it right’, or ‘come up with something good’. It is massive. I love the example of the kids playing lego with such ease, a great reminder and inspiration, thank you. Letting ourselves continue to freely explore and investigate life, in the way that children do when they play, would keep us very much more open and accepting of the fact that we are always learning. I was fortunate enough that I did not go to school much as a child and avoided this system as we were sailing around the world. A lot of what I learnt was from the people we met and the relationships we had. What I have noticed as an adult who loves to study and learn, is how so many adults have got so many barriers, or things that get in the way when they come to study and it all stems from their childhood experience of learning at school. Learning can be great, so long as it is fun and we can be ourself in it. If it is there to put us in a box, and we all have to do everything the same way it shuts down who we are and no wonder kids and adults alike rebel against it. It’s true that when there is a pressure on us to achieve an outcome our ability to be okay with making mistakes, experimenting, trying different things can often be reduced. Unfortunately, our school systems are moving more and more into having to justify outcomes and produce results and in this the focus becomes on the results and outcomes and not on the process of learning. So true MW as one of the most beautiful and humble things to appreciate about learning is that our mistakes can often teach us more than when we ‘get things right’ the first time. This is the case with all of us, even adults. When we feel safe we can trust, let go, have fun and learn. It is almost a crime that as children we are forced to squash the truth we know to conform to the education system and over time this false configuration of expression become so deeply embedded that it becomes our norm. How gorgeous that there are teachers like yourself who can hold children in a quality that communicates to them that it is safe to live the truth they know so they can reconnect and choose it once again. Even the new A-level exam structure is called ‘linear’… they’re not even hiding the fact! One day though, we will return to true education – Spherical education. I love the lego example. We only get upset about something ‘not working’ when we feel we have failed in one way or another. And why would we feel we have failed? Because of the constant impositions coming at us from society. Amazing to have a teacher like you giving those kids a solid foundation to hold onto and take out to the world with. Well said Michelle – a great blog that could be published in teaching journals/blogsites for all teachers – and us all to read. Someone I know said that they knew of a family where one of the children committed suicide the day before some exam results were due – partly due to the pressure of needing to get certain exam results. Surely given these kind of incidences that sadly happen more than we care to realise, we must see that the current education system is flawed? How is it that young people feel so pressurised to get certain results that they would go so far as to take their own lives for it? Thanks Jane for bringing this up. Suicide rates are increasing among our teens and academic pressure plays a huge part in this. A system that is devoid of love, honesty and truth is literally killing our kids and yet the system is developed by people – it is not a manifestation that comes out of thin air. We need to step up the responsibility of this and be open to what it is that we are creating. The truth is our educations system has imposed upon and damaged every single person that has walked through its walls, most of us for life, which then has its own compounding ripples out into the family and society. Are we prepared to actually feel the enormity of what this means? Yes, what are the other, not quite as drastic consequences of this pressure and why is it applied so often? What is the benefit and are there no alternatives?